Tag Archive | "Treasury Secretary Tim Geithner"
Facing Criminal Charges? Geithner was arrested and released! Lehman Brothers Holdings Inc. (LEHMQ) and its creditors late Thursday said they want to subpoena Treasury Secretary Timothy Geithner to question him under oath over allegations J.P. Morgan Chase & Co. (JPM) illegally siphoned billions of dollars from the collapsing investment bank in the days before it filed for the largest bankruptcy in U.S. history. Homeowners, Investors in Mortgage Backed Securities Feel Your Pain. Hear Their Lawyer Talk About Servicer Nightmares. Absolutely do not miss this piece from Abigail Field – So head over and please absorb the information. If you want to cut through some of the nonsense the banks have managed to sell as information about the housing situation, robosigning, mortgage modifications, check out this very accessible interview of attorney Talcott Franklin by Martin Andelman. Tal represents the majority of investors hosed once by Wall Streeers selling AAA-rated mortgage backed junk, and constantly being hosed again by the big bank servicers of those mortgages. Interestingly, his perspective sounds very much like homeowners’. Yes, a couple of times it gets a little too legalistic, but only for about 5 minutes of the slightly longer than the hour chat—when you hit the overview of the contracts structuring securitization, or any other topic that is more in the weeds than you want to go, take a deep breath and keep going. Most of the interview is in a rhythm and a language that creates clarity I’ve not seen or heard elsewhere. Please find some time today or over the weekend to listen to this excellent podcast of Martin Andelman’s interview with Attorney Talcott Franklin, who represents more than half of all the investors in mortgage-backed securities on the planet. Tal’s the co-author of the “Mortgage and Asset-backed Securities Litigation Handbook,” and he’s a very experienced and highly sophisticated litigator. You will learn a whole lot and many thanks to Martin for this super interview. Please head over to Mandelman Matters for the full article. 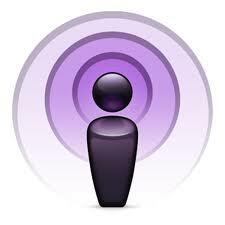 The podcast is available in two versions… MP4 and MP3. The MP4 version includes a couple of slides that show diagrams of the basic securitization process, but the MP4 format may not play on some computers. The MP3 version is audio only, and should play on most any computer. Most listeners will have no trouble following along either way. So, turn up the volume on your speakers, and click the MP4 or MP3 version. I loved recoding this podcast. If you want to know more about the foreclosure crisis, you’re about to learn from an expert on the other side of the foreclosures, the investor side… it doesn’t get any better than this!